The artists’ space Het Wilde Weten was founded in 1992. 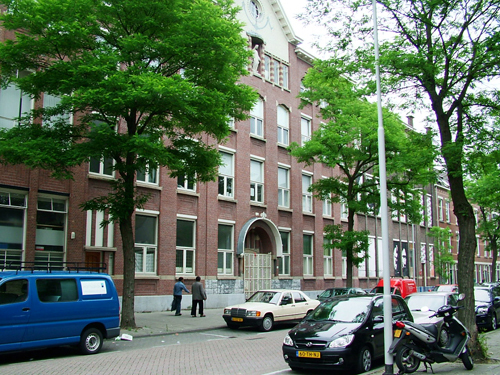 The building (that originally housed a Fransiscan nunnery, the Sint Mariaklooster) was converted into studios first by a group of artist and later with the help of the Municipal Services for Art and Culture, City of Rotterdam. Het Wilde Weten not only functions as a studio building but also as a public platform for all forms of contemporary art, cultural discussion and debate. The program is open to the public and consists of exhibitions, presentations, artist talks, discussions, events and festivals organised by HWW-members, guest artists and curators. Het Wilde Weten also manages a gueststudio residency for artists and curators. Subscribe to the Newsletter to stay informed about the activities and program. The public program of Het Wilde Weten is made possible by financial support of the Municipal Services for Art and Culture, City of Rotterdam, and the Mondriaan Fonds.